Here we will discuss the details that Nadia Khan and Amir Liaqat will host Subha-e-Pakistan. Firstly, we want to mention brief introduction of Amir Liaqat and Nadia Khan. As we know that Amir Liaqat is a well known Islamic scholar and media personality. He started his career as a newscaster and then he hosted his first program on Geo TV. He worked on that channel almost 8 years. In the year of 2010, he joined ARY channel as executive director of ARY. On that channel he started his program named as Aalim Aur Aalam. In 2012, he again joined GEO channel and hosted a live program named as Inaam Ghar. In 2014, he joined Express Entertainment and hosted a religious program named as Pakistan Ramzan. On the other hand, Nadia Khan is a well known television actress and host. She started her acting career in the year of 1996. As a host, she worked as an anchor on ARY digital channel. In the year 2006, she joined GEO TV and hosted a morning show named as Nadia Khan Show. In 2010, the show was banned by Dubai Government on behalf of Court Orders. Well this is all about the brief history of both the celebrities. 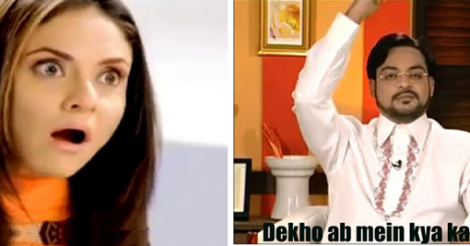 Now, both the celebrities are again back on GEO TV. We would like to mention that the morning show of GEO TV hosted by Shaista Wahidi. She left the morning show and now channel desperately need another host for the morning show. Now this channel is back with a big surprise i-e Nadia Khan and Aamir Liaqat will host the morning show together named as Subha-e-Pakistan. This morning show is expected to start from the next week. In other words, we can say that Nadia Khan is ready to take the position of Shaista lodhi. On the whole after discussing that Nadia Khan and Aamir Liaqat will host morning show on GEO TV it is easy to conclude that we should say best of luck to both the anchors.